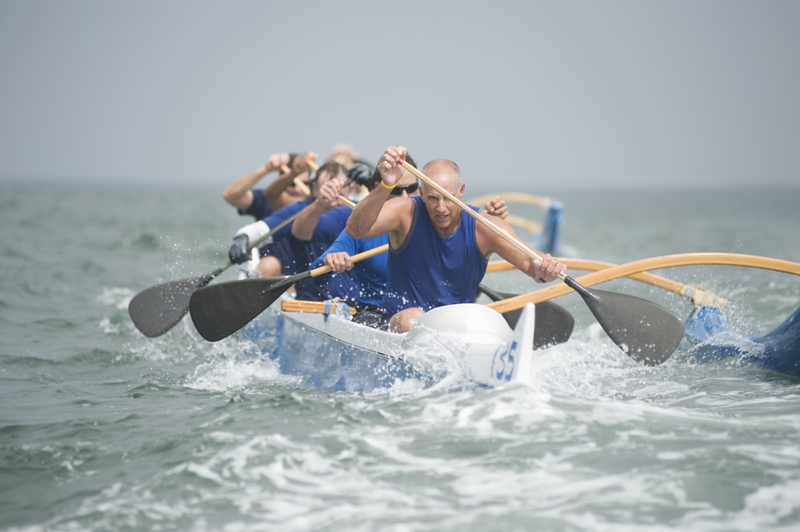 Canoeing is a paddle sport where a person sits or kneels in an open or closed-deck canoe and uses a single-bladed paddle to move forward. 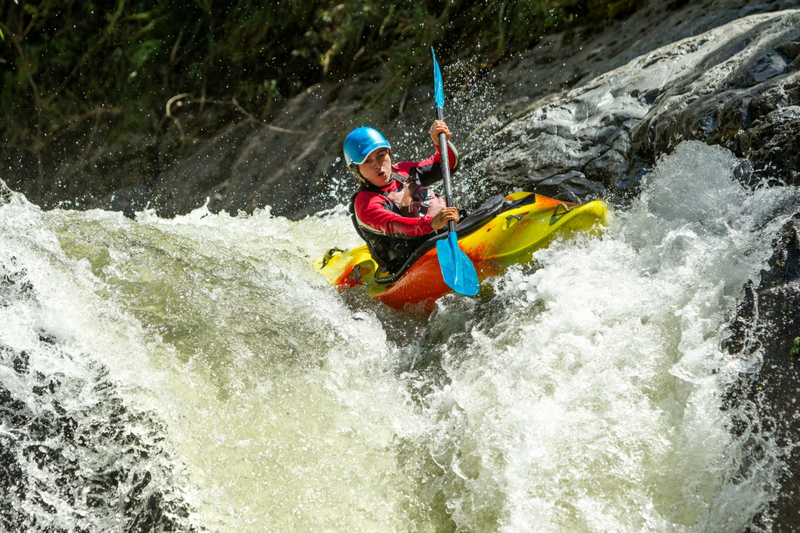 Kayaking is a similar sport where a person usually sits with legs extended forward in a closed deck kayak, while paddling with a double bladed paddle. 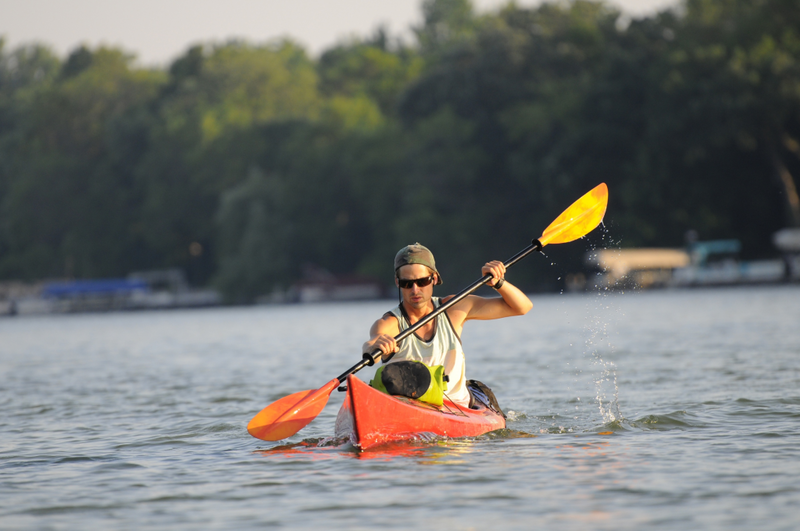 Opposed to rowing, in canoeing and kayaking a person faces the direction of movement.